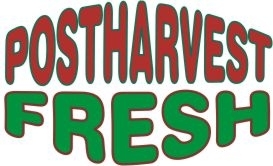 Postharvest Fresh is an independent laboratory providing advice and research for the fresh fruit and vegetable industry and associated support services both in Australia and overseas. Postharvest Fresh has its origins in a thirty year tradition of international excellence in horticultural postharvest and plant physiology research. This tradition was initiated by CSIRO Food Research in collaboration with NSW Department of Agriculture and universities. We have collaborative projects with the Faculty of Agriculure and Environment at Sydney University and CSIRO Food Science Australia, and have access to a wide range of sophisticated storage and analytical equipment which allows us to undertake innovative and important research projects. Technologies available, or shortly to be available, for commercialisation include a storage and transport database for the fresh fruit and vegetable industry, odour proof packaging for durians and a new technology for microwave cooking of potatoes. Many products and projects of interest to companies require specialist assistance in evaluation and research and development - this can be provided by the Postharvest Fresh. Assistance with funding can be arranged through the available funding sources that finance horticultural research and development projects.